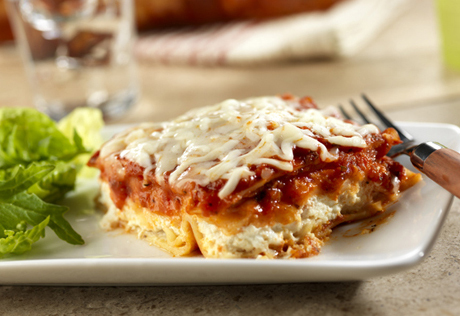 Hearty, seasoned tomato sauce and mozzarella cheese are folded inside bread dough, baked until golden, sliced while piping hot and served with additional sauce. Roll the dough into a 14-inch circle on a lightly floured surface. 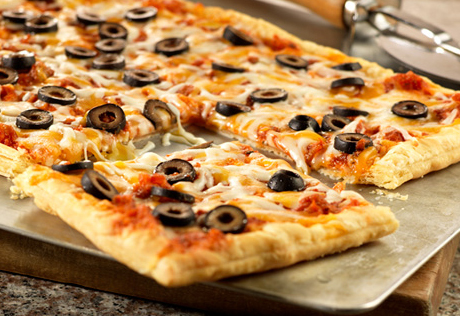 Place the dough on a greased baking sheet. 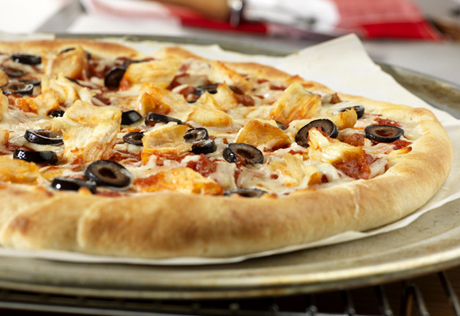 Spread the sauce over half of the dough to within 1-inch of the edge. Top with the cheese. 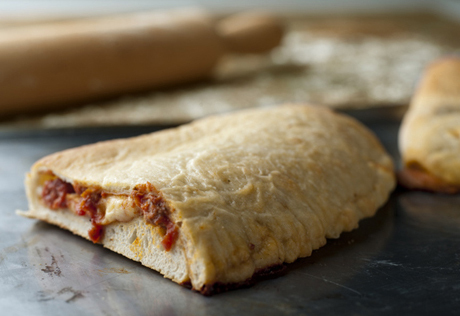 Fold the dough in half over the filling. Crimp the edges to seal. Bake for 20 minutes or until it's golden. Let stand for 5 minutes. Serve with additional sauce.